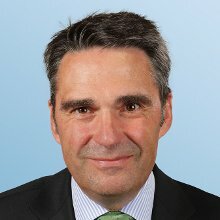 Wilhelm is a Partner in Arthur D. Little’s Frankfurt office. His work focuses on strategy & organization development as well as marketing, customer and sales excellence to accelerate growth and transformation on a corporate and business-unit level. Wilhelm heads both our Strategy & Organization and Consumer Goods & Retail practices in Central Europe. Since joining Arthur D. Little in 1989 after his studies, Wilhelm has served cross-sector clients with a focus on the consumer, construction and manufacturing industries. Wilhelm is passionate about helping clients build game-changing strategies in a decade of disruption, as well as identify sustainable sources of competitive advantage to win the hypercompetition battle. He accompanies his clients with the same energy to build dynamic organization capabilities and deliver high-impact, fast-track transformation.